With no race this weekend I timetable my second long run of the week or my third in six days, if you include last Sunday’s half marathon. It certainly wasn’t pretty and my legs gave out before I’d done what I’d planned but I’m still sort of pleased, as that’s just over 50km for the week or just over 30 miles, which is the first time I’ve hit my unofficial target. L goes out for a run as well, although a shorter one. She could have planned it better and we could have done one together. Then she could have propped me up on the bus, as I’m feeling a bit faint afterwards. I didn’t quite run as far as my usual finishing point by a shop, where I usually purchase an anti-fainting milk shake drink. In the evening, it’s the post-University summer holiday resurrected Friday night in. Yay. 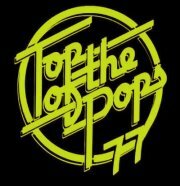 Time for ‘Top Of The Pops’.